ARToba – a creative space linked with the community of Toba. 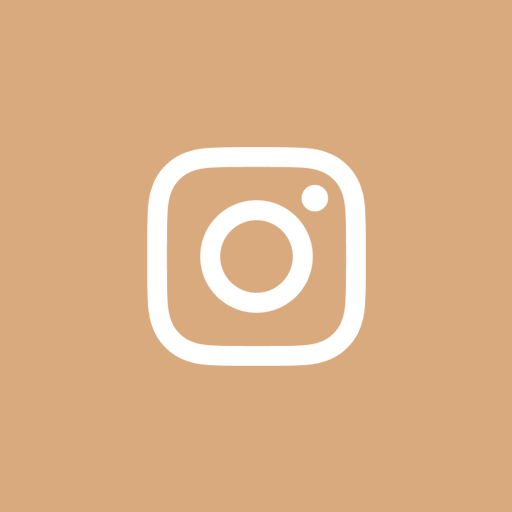 Established by Touch Base Creative Network in November 2018. Please see the ARToba page for information. 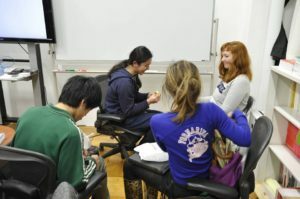 A cross-cultural exchange project based on the value of making connections and valuing contingencies. 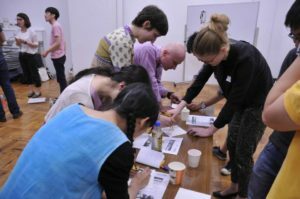 Drawing Water is an exchange project between students from Queensland College of Art, Griffith University (QCA), Brisbane, Australia, Tokyo University of the Arts (TUA), and Joshibi University of Art and Design (Joshibi). Water is central to contemporary concerns about sustainability; but it has also been central to our own physical being (our bodies are composed of at least 70 percent of water) and to our dreams and unconscious. 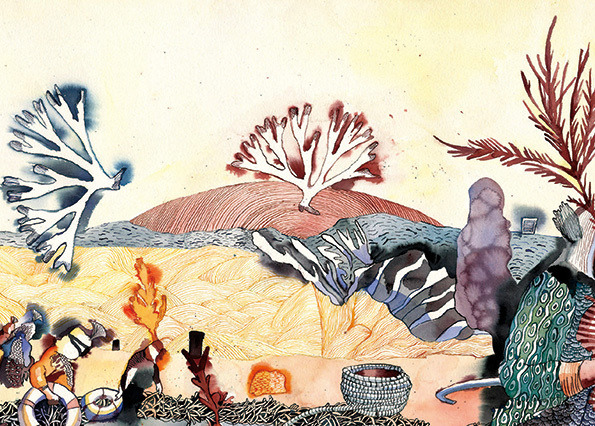 The project will encourage artists to search for streams of continuity and rivers of shared ideas and follow them until they arrive at inland seas where new possibilities of understanding and connecting the world bob on the surface. 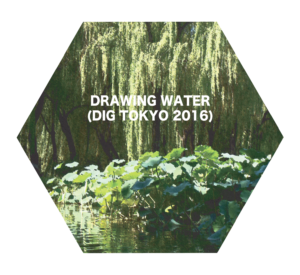 The Drawing Water project will begin with a series of on-line exchanges by visual researchers from all institutions, and will culminate in a ten-day workshop in Tokyo in September 2016. 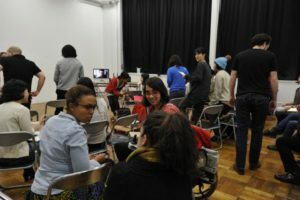 Outcomes will include exhibitions and events in Tokyo and Brisbane, papers, and an online catalogue. 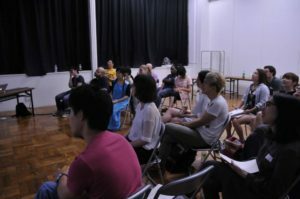 This project is a joint initiative between Griffith Centre for Creative Arts Research and Touch Base Creative Network. – Organized by Touch Base Creative Network. 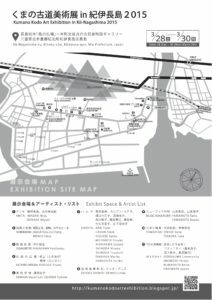 Satellite event of the 3.11 Film Festival. 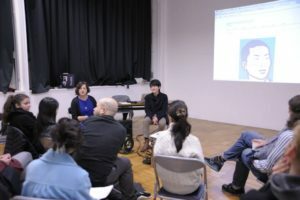 Free screening of two documentaries “Cans of Hope” and “Umi Yama Aida”. Sunday March 20 from 7pm, in Kihokucho Tamokuteki Kaikan. 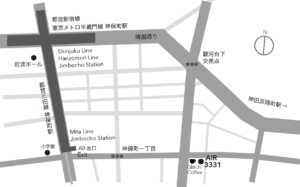 Address: 971 Nagashima, Kii-Nagashima-ku, Kihoku-cho, Mie Prefecture, Japan. 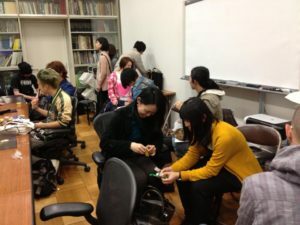 Meetings were held as part of “Linda Seminar Series” at Tokyo University of the Arts in 2014 & 2015. 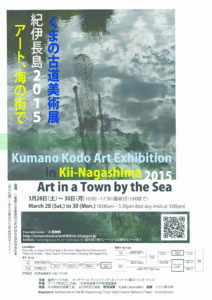 Presenters:　Participating artists of Touch Base related project: Kumano Kodo Art Exhibition in Kii Nagashima 2015. Curator at Scai The Bathhouse. Studied curation at Central Saint Martins, London. 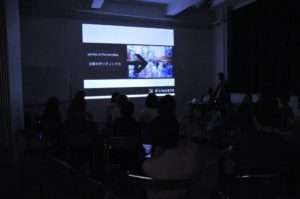 A Tokyo based Artist (usually photography or performance), gallerist, collector, curator, critic and antagonist. Gallery Owner of Motus Fort. Works at the Museum of Contemporary Art Tokyo. Born in Tokyo and has lived in the US and Australia. 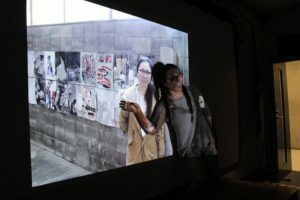 She has recently completed her Master’s thesis on Chinese and Taiwanese performance art in relation to the 1980s democratic movements. Jay Koh: Born in Singapore, and identifies himself as a Southeast Asian artist- curator and researcher. 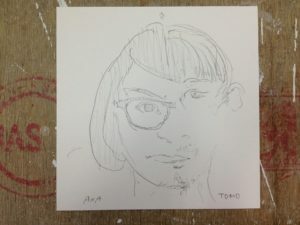 Utako Shindo is an artist who undertakes curatorial practice. She is currently doing a PhD at the University of Melbourne. 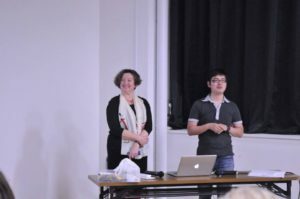 Wiebke Grimmig, a German Cultural Anthropologist, based in Japan. 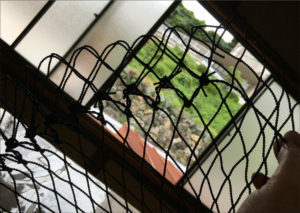 She is researching the influence of the 3/11 disaster on the artists of Japan. 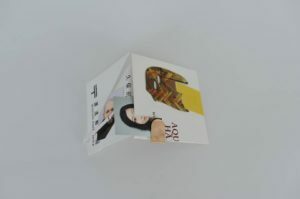 Yi Hyewon, a Korean curator living and working in Tokyo. 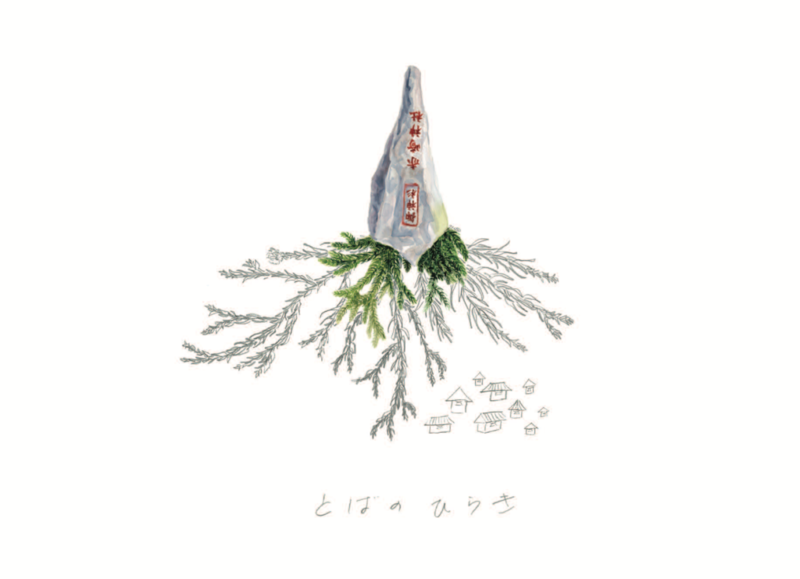 Hyewon curates exhibitions and events in Japan and Korea. 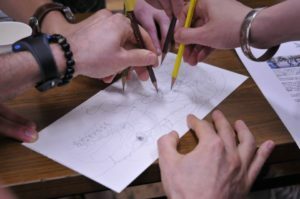 Presentations, and collaborative drawing activity done in pairs. Hayato Fujioka, Curator with a particular interest in contemporary British and Japanese art. 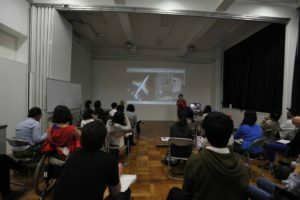 Hayato studied in London at Central Saint Martins specialising in art criticism and curation of contemporary art as well as photography and documentary filmmaking. 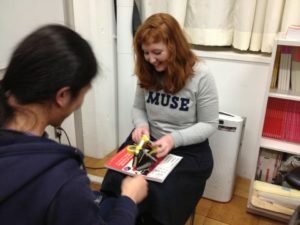 Emma Ota (太田エマ Dis Locate ): British curator and researcher based in Tokyo. 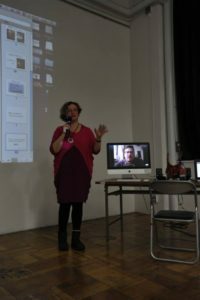 Her practices focus upon media arts and international exchange. Airplane Gallery, Brooklyn, New York. 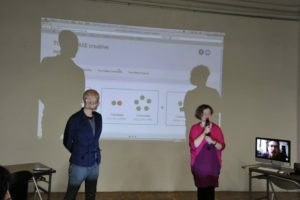 Presentations, and a collaborative activity done in pairs. 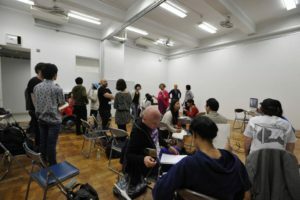 Events, such as exhibition visits, performance attendance, talk events, informal gatherings, etc, are held in Tokyo to enable members to meet and deepen ties. Information can be found on Touch Base’s Facebook and LinkedIn groups. 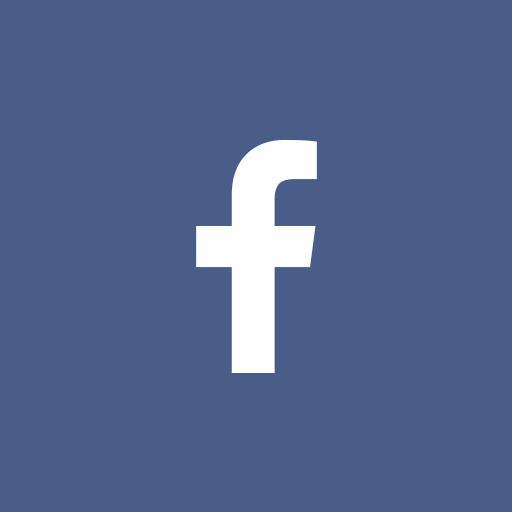 Members are encouraged to organize and/or promote events they think will be of interest to Touch Base members, and to post information in the Facebook and LinkedIn groups.